FRGCB - Finnish Retro Game Comparison Blog: Unique Games: Horror! Due to this month's Halloween theme, I decided to include a special episode of Unique Games. This time, there will be only one game per machine in most cases, and again, most of these are not much more than exclusive titles, but some of them happen to be truly unique as well. Also, I decided to break my oh-so-strict rules a bit regarding one particular game, because I couldn't mention the game in any other context. So, take a look at the next ten horror titles, and why not leave a comment after the lot - tell me if I missed any really unique ones or exclusives. Quite possibly the earliest example of a survival horror game can be found on the good old Atari 2600. Haunted House (originally called Nightmare Manor) plays sort of like Atari's Adventure, being an overhead maze game, but this one features scrolling graphics, and some other new elements that give the genre a more suspenseful feel. Your mission is to navigate through the haunted mansion of the late Zachary Graves to recover the three pieces of an urn. The mansion is mostly quite dark, so you will need to light up matches every once in a while to see anything. Of course, the mansion has some monsters and the roaming ghost of mr. Graves, who will try their hardest to keep you from your goal. One of the unique things in this game actually is, that when a monster enters the room you occupy, a sudden gust of wind blows out your lit match, so it gives a nice sense of panic. Very evolved for its time, and one of the truly recommendable Atari 2600 games. For all I know, this here is the first ever horror movie based game, and it's a curious one at that for several reasons. Poltergeist was only ever released for the Tandy TRS-80 Color Computer, which makes the game next to impossible to find in Europe, and even more so here in Finland. So, it was really a matter of sheer luck combined with countless hours of research that lead me to find it. For a 1982 game, Poltergeist feels kind of ahead of its time, since it features a surprisingly varied selection of genres within 3 levels: first, a Ghostbusters-like map screen where you pick up items from different houses; second, an Aztec Challenge sort of an avoid'em-up screen where you go up the stairs while avoiding various traps; and finally, a psychedelic 3D'ish kind of a space shooter sort of a thing. Although it all looks and sounds very simple, the game does offer a surprisingly tough challenge. As a whole, it doesn't really hold as well together as later games of similar structure, but it's a good early attempt, and certainly an interesting choice for a movie licence. The next horror movie licenced (?) games would be the Texas Chainsaw Massacre and Halloween in 1983, both for the Atari 2600, but neither of them got even close to the gameplay value that Poltergeist offers. I'm sure many of you know this one already, or at least the original game in the series. Paul Norman's Forbidden Forest came out on the C64 and the 8-bit Atari computers, and is considered to be one of the earliest survival horror games, and one of the better ones at that. This first sequel was only ever released on the C64, which is good enough reason to include it here. This is another fairly well-known game, mostly thanks to the existence of MAME. In the famed series of Exidy's lightgun shooters, this gorefest of a game was originally banned in the UK. The game features four main levels of gory shooting, and a bonus "fruit" machine level. The bonus level will only appear if you manage to find all the secrets in any level. As a lightgun shooter, it didn't offer anything to the gameplay that hadn't been done many times before, but the visuals are properly disturbing. I know an unlicenced NES port exists of this game, so it's not exactly exclusive or even all that unique, but I just wanted to give a bit of a shout-out for this game's original version, because it happens to work on a completely different level than the NES version. The graphics, the sounds, the shock value... all completely different. Imagine popping coin after coin in an arcade machine, where your main purpose is to shoot or torture people to death in a grotesque manner, just to get your name on the high score list for all other sickos to be jealous of. The unlicenced NES version is basically just an exercise in futility. One of the more obscure titles that are somehow well regarded in the Spectrum community, mostly for being one of the most nightmarish games ever made for the machine, is John George Jones's Go To Hell, released by Triple Six in 1985. Since the game has been denied of distribution, I decided to go for the spiritual (if not actual) successor to it, called Soft & Cuddly, which is still available for download at the World of Spectrum archive. Despite its title, Soft & Cuddly is anything but. If anything, it's much more gruesome and nightmarish than the original Hell game. I can't honestly say it's anything new and exciting in terms of gameplay: whereas Go To Hell was an Atic Atac clone of sorts, Soft & Cuddly is a combination of Jet Pac and Jet Set Willy, but the graphics are probably the most disturbing that I have ever seen in a Spectrum game. But if an interview of J.G. Jones from Sinclair User issue 67 is to be taken seriously at all, he wrote the two games as a nice, big "toss off" to the whole game industry. As such, it's no wonder that these two games are all we ever got from him - either because no company would bother to actually release his games, or because he actually got bored with it all and stopped producing altogether. Whatever the case, John George Jones remains a mysterious and controversial character in gaming history. What is said to be the goriest 8-bit Nintendo game of all time, Sweet Home was based on the Japanese horror movie bearing the same title (Sûîto Homu) by Kiyoshi Kurosawa. Often falsely hailed as the "father of survival horror" game genre, Capcom's Sweet Home does still have the honour of being the first survival horror RPG for any home console. It plays much like the early Final Fantasy games and its ilk, and features many familiar elements from early role-playing games in general. You control a team of five people, whose goal is to find Mamiya Ichirou's fresco from the haunted mansion. Each of the members have a surprisingly realistic inventory, only being able to carry one item in either hand, and two other items in their "pockets". Everyone has their own special item (occupying one inventory space by default), which will be of frequent use: a camera, a vacuum, a lighter, a key and a medikit. Screenshots from Gaijin's translated version of Sweet Home from 2000, with the original 1989 title screen. Sweet Home's atmosphere is very thick with suspense - perhaps even a bit too suspenseful at the beginning, since the soundtrack is always very harrowing and ominous. The deeper you get into the game, the more evil and gore you will come across, which make the game what it is. All the puzzles are nice and logical, but you do need to get familiar with all the characters before you can actually plan to do anything. I could talk about this game's specifics for quite a while, but that would perhaps ruin some of the surprises that this game has to offer, so I'll let you find out for yourself. 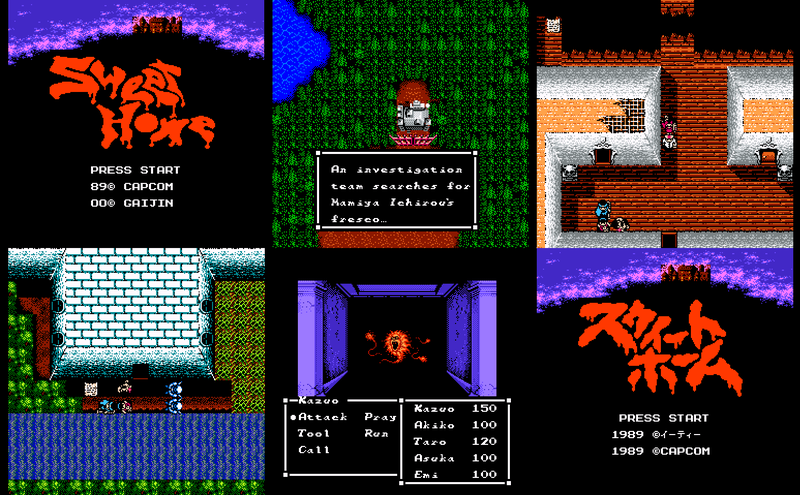 Sweet Home is certainly one of the better RPG titles for the old Nintendo, but as it was only officially released for the Famicom, the language is Japanese. You might be able to find some translated bootleg versions around, if you're into that sort of thing, but it's easier to seek out the .nes file from the internet and play it on your emulator, which I highly recommend. The translation I've used so far is from Gaijin, released in 2000. This little bugger, along with its two sequels, was introduced to me as one of the most entertaining adventure games that my PC gaming friends had played, a few years before PC gaming became a valid option. I was never very impressed by the game, because it felt like a low-budget hobbyist-coded clone of Sierra's early adventure games. Back then, I didn't realize the Hugo series was an example of a new independent distribution method called shareware - and pretty much exactly the sort of product it felt like for a good reason. Yes, it looks like a cheap Leisure Suit Larry clone. Yes, it plays like a cheap Police Quest clone. And yes, it even sounds like a cheap King's Quest clone. And cheap it is, but still, considering the amateurish touch the game has all over, it manages to be entertaining, and a good option for those who couldn't afford a good high-budget Sierra game after wasting a fortune on a then high-end workstation computer. 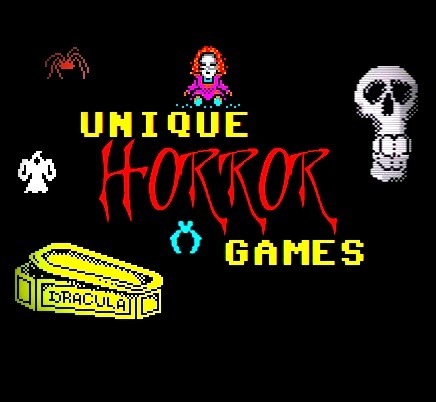 The reason why Hugo's House of Horrors is featured on this list is quite simple: it was originally only available for MS-DOS based systems (now available at GOG.com for Windows, Mac OSX and Linux), and featured many classic horror monsters, as well as an occasional moment of suspense. I don't remember Sierra having made any actual horror-themed adventure games up to that point. Horror wasn't a very often used genre on the Super Nintendo, and the ones that have been talked about elsewhere are so well known, and aren't even particularly unique, that Musya was the only one I could find that was at least truly exclusive, and even somehow unique. I'll say it out front: this one doesn't feel like a horror game at all. It doesn't have the atmosphere required of a horror game in the least, and the only horrific thing about it is the playability. Well okay, I admit the imagery is sometimes a bit disturbing, but only a bit. Musya is basically a very generic 2D action-platformer with some sort of a Japanese horror theme, and your mission is to (surprise) save your damsel in distress from the hands of an evil monster, whatever that may be at any stage. The action here is awkward and lazily made, and the platforming part of the game is pretty slow and difficult to control, mostly due to bad collision detection, but also due to bad controllability of the character. In other words, it's a really cheap copy of Castlevania, perhaps slightly combined with Ghosts 'n' Goblins and Metroid. So, what makes this unique in any way? Well, the setting is a very underutilised one, being heavily based on Japanese folklore, so it's interesting to see all that stuff flying around and sometimes in the background. The soundtrack is pretty good and epic, too, and I suppose it does bring its own particular sort of feel to the game. It's not very suspenseful, however, and the idea of "horror" is unfortunately left out of the equation. That, of course, could be just the European horror lover in me talking, and I just might not understand the Japanese culture enough to get the full impact of what this game means to them. Since Chiller wasn't exactly an arcade exclusive, I had to find another arcade horror game to fit the theme. This one isn't half as interesting or shocking, but I'd say it's a very nicely made horror-themed brawler, and somewhat comparable to Super Nintendo's Zombies Ate My Neighbors in the amount of comedy wrapped within the crust of a monsterous context of a loaf, as well as being a parody of sorts of its own genre. You can see what you're up against from the screenshots, so I don't really need to tell you that it's very much a Double Dragon/Final Fight clone. But at least it's an arcade exclusive, and good fun at that. As for the horror and gore aspects... well, the original Japanese release has proper uncensored blood and gore, while the overseas version has the option to change the blood colour and violence level. I confess to not being much of a brawler fan, probably for not having grown up with a NES or SNES or any other console, so imagine my surprise when I saw the game's Wikipedia page say that it was ranked as the 20th top beat 'em up video game of all time by Heavy.com in 2013. Since Hugo's House of Horrors didn't have all that much uniqueness in terms of gameplay, I decided to list another DOS-based horror game. Happily, this one has at least some of that going for it. The mysteriously titled The Legacy: Realm of Terror from MicroProse certainly offers some scares and horrific monsters for anyone's money's worth. It is at its core a Dungeon Master clone, but offers a more similar gameplay to the two Elvira adventure/role playing games, placing you in the shoes of the chosen heir/heiress, who will have to get themselves out of the inherited evil mansion alive. Having customizable screens is a neat and rarely seen feature in these sorts of games. More notably, The Legacy is one of the earliest examples of having the player character get frightened of something, and this actually makes a huge deal in the game. Although it features quite a lot of enemies to battle with, the game gives you a properly serious challenge from the very beginning, so escape is quite often the preferable choice. The mansion is devastatingly huge, and you could easily get lost in it, if you didn't have a map on the screen all the time with you. I have only managed to scratch the surface in the game so far myself, but I can safely say, The Legacy has some very singular charm and enough unique features to make it well worth the mention here. If you require any more convincing of the game's worth, go read a more in-depth review of the game at Abandonia. 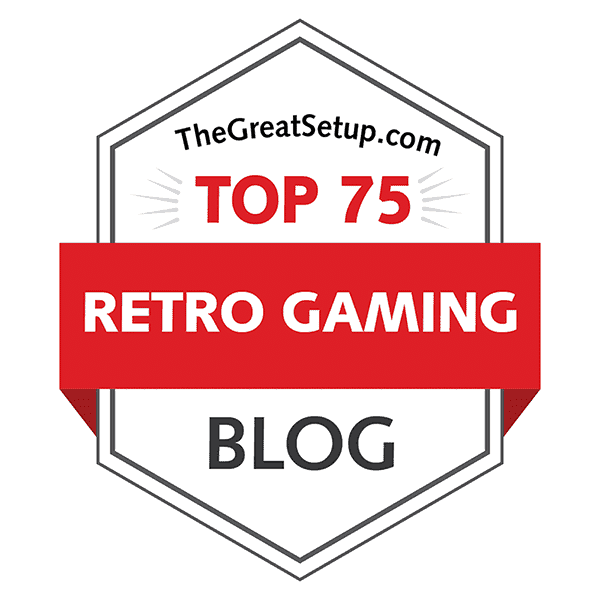 Unfortunately, there aren't that many properly unique or exclusive interesting old horror games that would warrant for another special episode of these next year. If, however, any of you readers out there can come up with some other exclusive and/or unique horror games for any of the machines that I overlooked here, I'll be glad to update this entry in the future. Stay tuned for more gruesome gaming! Imagine horror point and click adventure released 1995 only in Japan!